Have you dreamed of a private yacht purchase and changing your lifestyle, taking advantage of mega yacht sales or even beautiful pre-owned yacht and cruising into the islands to lose the daily chores of the past? Many do, and this dream can cloud the purchasing of a luxurious yacht, so the best advice is to find a company who has its finger on the pulse of the industry and who can readily guide you into safe waters, regardless of the size of a previously enjoyed or new luxury motor yacht. We specialize in the sales of pre-owned luxury yachts, catamaran sailboats, power yachts and other yachts that are of a turnkey operation, where the charter business is already in place, and the yacht purchase is already successful. 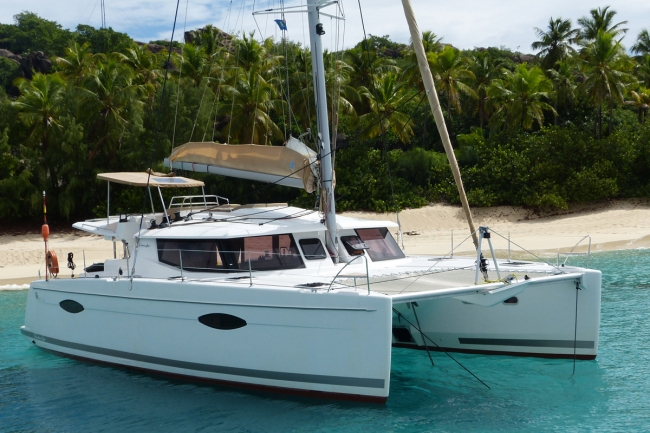 There are many reasons for owners selling their power yachts. Most of these yachts are being sold because the owners of these luxurious yachts are upgrading to a larger vessel; others may have taken advantage of mega yacht sales step-downs and further take advantage of the availability of catamaran sailboats, power boats, power yachts, super yachts or smaller luxury yachts. We have been part of the national and international charter yacht business since 2001. This puts us in a unique position to know which yachts are for sale and can find out how many charters the yachts book within a given year providing you a unique perspective of what you might expect to receive in revenues to offset some of the costs of yacht ownership. This chartered yacht's information is derived without the input of the owners of the used boats, who are looking to sell their charter yachts, thereby making our figures more accurate. Within the yacht sales industry, the charter rate of yachts are known, so calculating the accurate gross income in a season is reasonably easy in 90% of cases. Knowing the future potential of a charter yacht is also what we do. 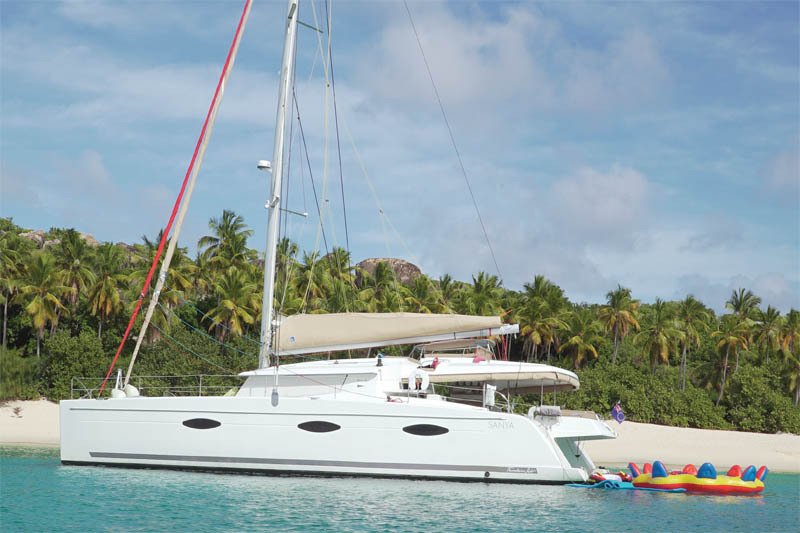 We do not carry every pre-owned charter yacht or boat for sale, but we do carry a good number of power yachts, sailboats and catamarans as well as other boats for sale. 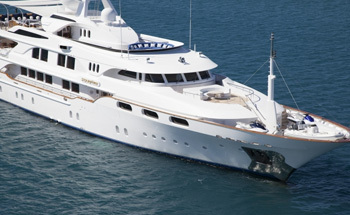 If a client locates a pre-owned yacht or yachts for sale, first contact us to see if she is charter material. Any yacht with a charter history means Barrington-Hall can calculate what to do to raise rates, or knowing exactly how much more money can be generated by a particular yacht. Every charter yacht, whether it is new or used, luxury catamaran, sailboat or even mega yacht, has its first year as a “first loser year”. The first loser year means: When a yacht has never chartered before, this is what every yacht needs to do to become established. It is a loser year. In your first year of chartering, most companies predict 6-8 one-week charters, which means there are many weeks in the year where your captain and crew are not doing charters. You have just paid $10,000 for new brochures; your marketing is being put in place; this marketing needs to mature. You have commenced your season like all the other owners, where you started with the boat show. All the charter brokers have seen your vessel for the very first time. Now your captain and crew sit and wait for charters, and they say you can expect 6 or 8 charters in this first year. Purchasing a second hand yacht is a smart decision. One with a charter history is a good thing, because the flow of dollars into the yacht should not stop. 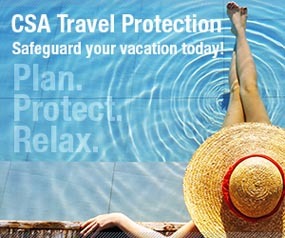 Because brokers do not know that the owner has changed hands, booking goes on like normal. Smart new owners should not touch anything for a year on their fresh purchase of a charter yacht, unless the change is discussed with Andrew at Barrington-Hall. If a yacht and crew team are making good money why change the system? I have seen owners damage themselves by doing that. Until an owner knows exactly how the entire system works, leave the chartering side to your captain to deal with. Yes, there are a few charter yacht owners who do make money chartering; some owners have 2 running vessels, even in the year 2013, because it does make sense to them. These are the owners who know how important advertising is, how important the right crew are, how important the right vessel is. Most charter yacht owners do not make any money, and it is their own fault. Chartering is a very serious business, and some owners do not do what is needed to run a business within the system. Here is an example: The owners of charter yachts do not want to spend money on a hard copy yacht charter color brochures; that is a wonderful tool that makes them money. They do not want to spend money making a video of their charter yacht; this is a wonderful tool that “all” owners need if it is private yacht charters they want. Do you wish to make money chartering? We do what is needed to give the worldwide brokers the tools to sell your yacht. The smart owners who have these tools are fully booked.